Give a smooth and soft texture to your home by placing this "One of a kind" Grey carpet. This is a large size carpet which you can use for the living room and for the bedroom ( If you want to cover your entire space with carpet) as well. Bring monochromic features in your home by placing this gorgeous handknotted wool carpet. 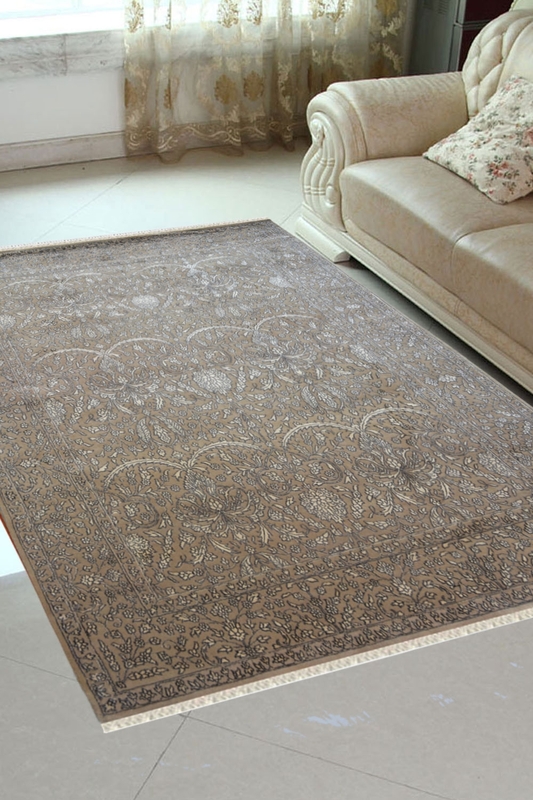 This carpet is woven on a handloom and you will use it as a focal point in your home. It has Embossed floral pattern in very smooth color. So you can place this carpet for traditional home décor and modern home décor as well because the design of this carpet is traditional but the color combination is also suitable for a modern home interior.